Tossing and turning. Hours spent staring at the ceiling in frustration. Squeezing one’s eyes shut out of desperation. Occasional sleeplessness happens to all of us, but a chronic inability to fall asleep — called insomnia — is a severely debilitating condition that affects up to 25% of Americans every year. In an attempt to recuperate lost sleep, most people struggling with insomnia turn to pharmaceutical sleep aids. However, many sleeping medications can cause various adverse side effects, which makes their use risky and potentially problematic. Thankfully, many people with insomnia have found respite in natural sleep aids, including herbs for sleep. 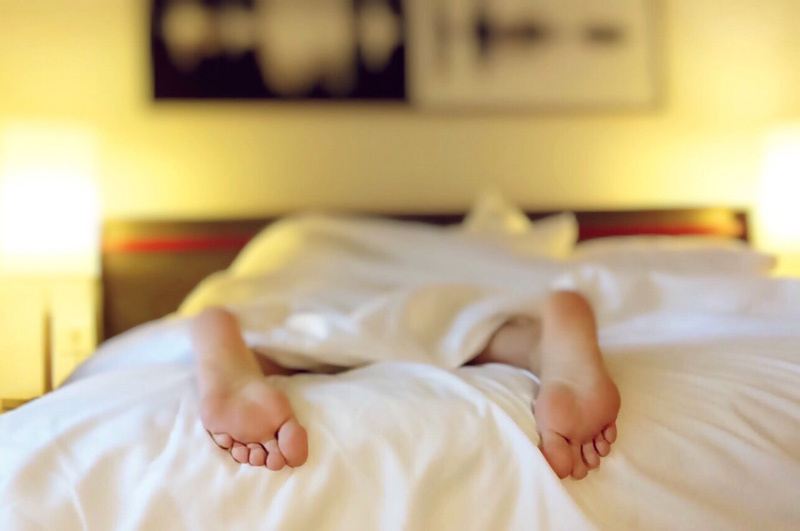 In this post, we’ll explore five of the most popular and effective herbal sleep aid options for tackling insomnia naturally. Valeriana officinalis, or valerian, is a flowering plant that grows throughout North America, Europe, and Asia. When the ground roots of the valerian plant are consumed, the herb seems to work as a sedative, inducing drowsiness and reducing the amount of time it takes to fall asleep. Although the exact mechanisms behind valerian root’s effects on sleep aren’t understood, some researchers have hypothesized that valerian root may work by interacting with GABA receptors in the brain. However, when used as an herb for sleep, valerian root may not be as effective as prescription sleeping medicine. Unlike many fast-acting sleep aids, the herb seems to be most effective when taken consistently over the course of 1-2 weeks. In contrast, erratic or infrequent use of valerian root as an herbal sleep aid seems to be less effective, so consistency is key. Although the Southeast Asian powdered plant kratom isn’t primarily known as being an herb for sleep, some people have found success in using it to address acute and chronic sleeplessness. However, it’s important to note that not all kratom powders or products will aid with sleep. Most kratom is generally regarded as being soothing, but the coloration and variety, or “strain,” of the kratom in question will ultimately determine its characteristics and effectiveness as an herbal sleep aid. For instance, red vein kratom strains are considered to possess pleasant, relaxing aromas, while white vein kratom strains are thought to produce stimulating and energizing aromas that might be less conducive to sleep. In addition, the effects of kratom are considered to be very subjective — so take what you read with a grain of salt. Ultimately, if you intend on using kratom as an herb for sleep, you’ll want to do plenty of research beforehand in order to maximize your potential results. Although 5-Hydroxytryptophan (5-HTP) isn’t exactly an herb for sleep, it is a naturally-occurring amino acid found in potatoes, meat, milk, and some green vegetables. When consumed, 5-HTP acts as a precursor to the body’s production of the neurohormone melatonin and the neurotransmitter serotonin, which are both conducive to restful sleep and elevated mood. Chemically, 5-HTP is similar to L-tryptophan, the amino acid that’s often blamed for lulling many Americans into the proverbial Thanksgiving “turkey nap.” In actuality, it’s more accurate to deem 5-HTP as the culprit of holiday sleepiness because L-tryptophan converts to 5-HTP in the body. Holiday anecdotes aside, 5-HTP has demonstrated a proven capability to promote sleep and appears to be effective even at low doses. By increasing deep REM sleep during the particularly rejuvenating stages 3 and 4, 5-HTP can help combat insomnia and occasional sleeplessness. The Akuamma seed is a natural medicine that has seen extensive use throughout West Africa. Sourced from the Picralima nitida tree, the dried seeds of the Akuamma tree are either sold whole or ground and sold as Akuamma powder. Akuamma is packed with many alkaloids, some of which — including akuammidine and pseudo-akuammigine — may aid in alleviating sleeplessness. In particular, akuammidine’s relaxing properties are comparable to one of kratom’s primary alkaloids, mitragynine. That said, only a limited amount of research has been conducted on using Akuamma seeds as an herbal sleep aid. Although some users swear by Akuamma’s effectiveness, other herbs for sleep have a stronger and more compelling track record. Again, not necessarily an herbal sleep aid, melatonin is a hormone that’s produced within the human body. Acting as a sort of natural sleep aid, melatonin is one of many “signals” that your body uses to regulate your sleep patterns. Melatonin is produced in the pineal gland, and levels in the body naturally fluctuate throughout the day. At night, melatonin release increases, which preps your body and mind for sleep. But, in the morning, melatonin release decreases, which allows other hormones like norepinephrine and cortisol to kick in, ensuring that you’re alert, active, and ready for the day. Although melatonin isn’t technically an herb for sleep, many people take it as a supplement to promote and enhance their sleep. At Kratora, we carry a diverse selection of all-natural ethnobotanical products, including kratom, Akuamma seeds, and several other kratom alternatives. We’ve traveled the globe in search of nature’s finest botanicals, and we’re thrilled to share our exciting finds with customers from around the world. Shop at Kratora today to receive same-day shipping on orders submitted before 3 PM EST Monday through Friday and 1 PM EST on Saturdays (excluding holidays).